Weobley Church was busy all day on Saturday 15 September with people making their way precariously up the tower via the narrow winding stone stairs to the ringing chamber, then an examination of the clock mechanism explained by Alan Jones and, above it, viewing the second heaviest ring of bells in Herefordshire in their new steel frame. 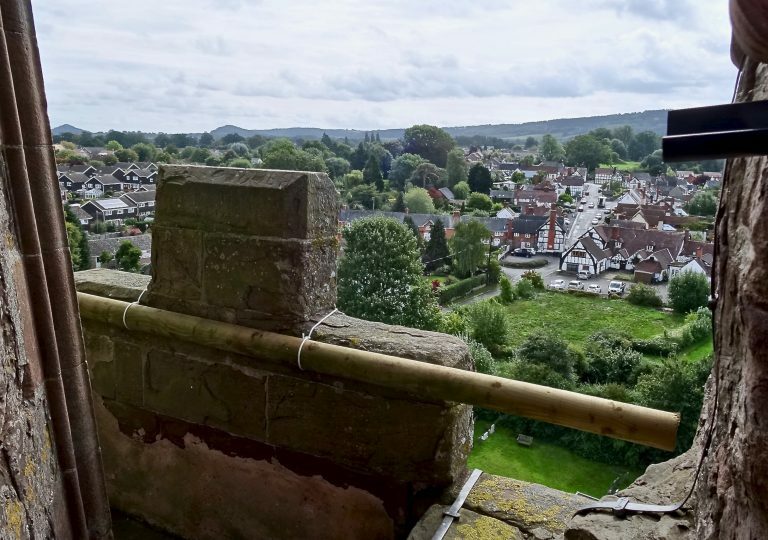 The intrepid could then go up another winding section and come out on the narrow parapet round the spire for amazing 360 degree views of the village and Weobley plain between the hills. 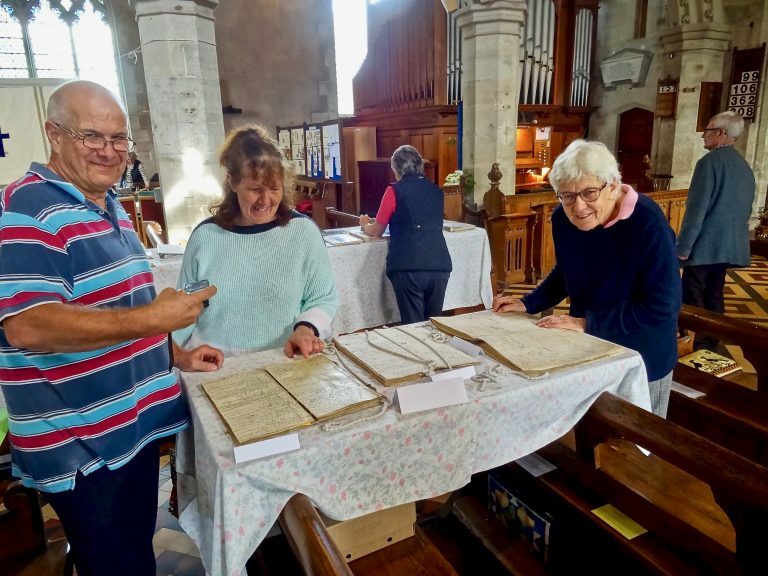 Inside the church there were historical displays of church accounts and some registers of births, deaths and marriages including one from the mid 1600s on vellum pages, and many other artefacts with people on hand to explain the finer points. In the refreshments area there was percolator coffee and tea and tempting cakes. Members of the team included the Vicar, Sean Semple, Parish Secretary Pat Millington, Tower Captain Cath Brigg, Ruth Palmer and her daughter Matilda.